Located west of Nakhon Si Thammarat’s city center. 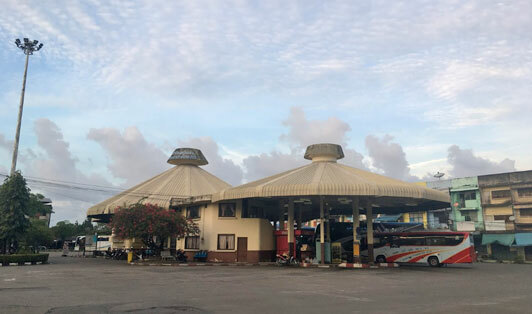 Nakhon Si Thammarat’s bus terminal serves all public land transportation vehicles such as minivans and buses in the whole city. It is very accessible and easy to reach as pretty much every local and driver know its location. It has many buses running daily to destinations like Bangkok, Surat Thani, and Hat Yai.